I think upgrading Google Play is a huge plus for Google, especially at a time when Android is competing just as well in the smartphone market as Apple. Historically, Google has predominately made the right moves and is now on its way to compete with iTunes/Apple Store (and it has been doing so for some time). This is not a risky move and is the right move. I myself am switching over from Apple to Android once my plan expires. Thanks for the post! This is really interesting. I agree with your opinion, I don’t thin much harm can come to Google for trying out a new upgrade. I don’t think it is too risky and it won’t tarnish Google’s reputation. Google could let its consumers know that they are just trying a new thing out so it wont be as risky to them and consumers know what to expect. Android can promote this for them. I think Google’s new additions are attainable only because technology keeps on advancing and as you said “the sky’s the limit.” I think this will increase Google’s quality and will make them a better company particularly in this industry. I am not so sure that Google is taking a risk with their new Google Play as much as they are trying to broaden what exactly their company does. Since Google+ as well as other Google innovations will be part of Google Play I agree that Google is just trying to stay ahead of the curve.Yes, Google did fail with their Google+ social networking site, as no one including myself uses it, but Google Play sounds like it is a lot more optimal to be a success. 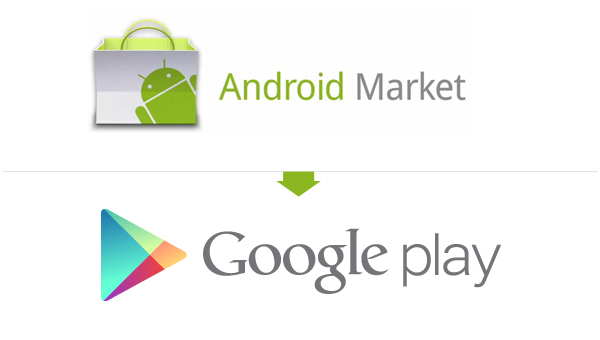 While right now many people may not use Google Play, we do not know what the market will dictate. Google will always be known for its amazing search engine, and any extra innovations they use will only enhance their image, and if it fails Google will always have its reliable search engine to fall back on. As for the possible games that Google will create, I believe that as we get closer to tablets and farther from laptops/smartphones, Google’s smart innovations will be a huge success. Google is a truly innovative company, and is working on hundreds of different products at one time. I personally believe in order for them to remain successful, they need to seamlessly integrate all these products. This has worked great for companies such as Apple. Google needs focus on creating an ecosytem, not just individual products. I think it is a great idea that Google is expanding their Play Store, with so many people switching to mobile platforms for games, according to Tuaw.com, in August of 2012 there were roughly 130 million iOS gamers. I’m sure that number has grown drastically and I believe that Google is also looking to become another major gaming platform. I think it is a great idea for Google, I don’t see much of a risk involved. Also, with Google jumping into so many industries such as the TV and internet industry they are definitely looking to expand. I also believe Google is heading in the right direction. In the last few days on the market, Google reached a new high above $900 a share because of all the new things that Google is trying to do. It seems like its more than just a few people who also believe Google will be successful. As Glenn said above, it would be very interesting to see what would happen to the gaming industry if Google decides to make it a priority.